Your work is fantastic, and many thanks for your generosity in sharing the patterns! Oh my god! These quilt patterns are just awesome too see. How can I wait to download them. Very very thanks for sharing them here. 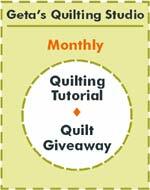 Thank you for your generosity in providing these lovely free quilt patterns! 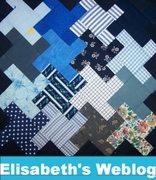 Loved your site and beautiful quilts. I do Project quilts about 140 or more per year but such a pleasure to see your work. These are beautiful scrap quilts. I especially like the fourth one. Love your patterns but the constant flicker at the bottom of my screen makes it very hard to view them. ie “follow” button. I have just discovered your site. Love it! I am especially facinated by the Scrappy split rail pattern. Thanks for providing it for free. Newly retired, pretty new to quilting although for many years I made all of my own clothes so not really new to sewing. I really enjoyed Vogue patterns, quality fabrics and when I was done the clothes actually fitted me! Anyway look forward to returning to your site often. I like the combination of the aesthetics of vintage quilts and contemporary colors. P.S. Of course I am not doing this for profit–doing it for my own pleasure. I am here In Federal Way looking for border ideas. Stumbled on to your site. Got a lot more than just border ideas. Will visit you and the world again soon. I have just discovered your site. Love it. Congrats and keep up the good work. I am inspired now so I have to go quilt something beautiful but I will be back for more. Ciao for now . Love your site, I will be back often.